Yesterday, it was reported that Samsung is no longer the top smartphone vendor in China as Xiaomi has surpassed the Korean tech giant to claim the top spot and today, another IDC research has revealed that the company’s market share in Western Europe is sliding pretty fast as well. According to ZDNet’s report, Samsung’s share of smartphone shipments slipped from 42.6% in 2013 to 35% in 2014, while Apple’s share grew from 19.6% to 21.2% over the same period. 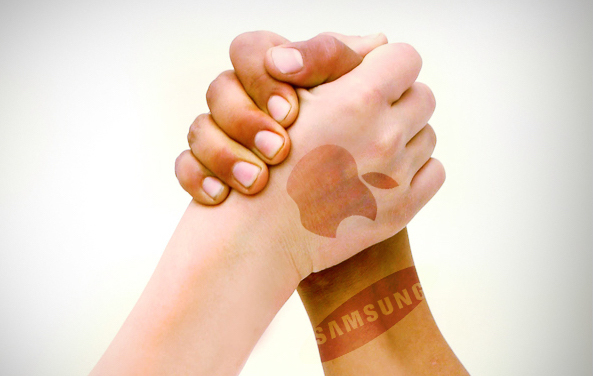 Samsung is still the top vendor in Western Europe, though its lead over Apple has decreased in recent quarters. Samsung shipped 51 million smartphones in 2014, down from 58 million in 2013, while Apple’s shipments climbed from 26.9 million to 30.9 million. Microsoft’s shipments meanwhile climbed 31 percent from 7.6 million to 10 million for the year; however, that still left it with a 6.9 percent share of the market, behind Sony’s 10.4 percent with 15.2 million units sold, but ahead of LG, which shipped 8.6 million units, accounting for 5.9 percent of total shipments. Even though Samsung doesn’t face the same challenges from low-cost vendors in Western Europe as it does in China, the company has recently seen a similar decline in the region, especially at the hands of Apple. Francisco Jeronimo, European mobile devices research director at IDC, said that the success of the new iPhones 6 and 6 Plus is the biggest contributor in European smartphone market’s growth. According to IDC, the European smartphone market was worth $62.4bn in 2014, up 1.7% year on year.